We have already seen a number of leaked photos of the new Xiaomi Mi5 smartphone, and now some more photos have appeared online. 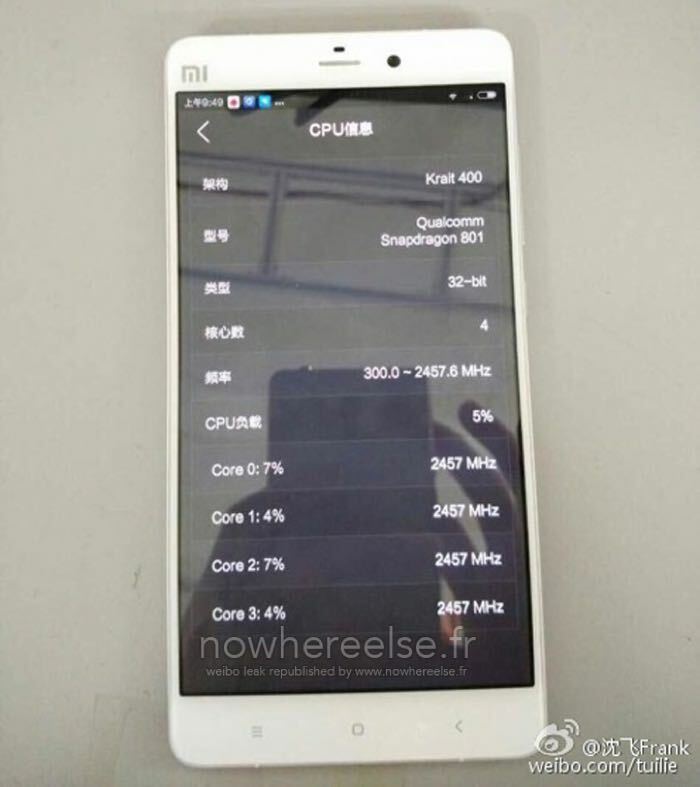 The latest photos of the Xiaomi Mi5 were posted on Weibo, and they show the handset running the AnTuTu benchmarking application. There had been rumors that the new Xiaomi Mi5 smartphone would come with either a Snapdragon 805 or Snapdragon 810 processor, although the benchmarks appear to show a quad core 2.5GHz Snapdragon 801 processor. 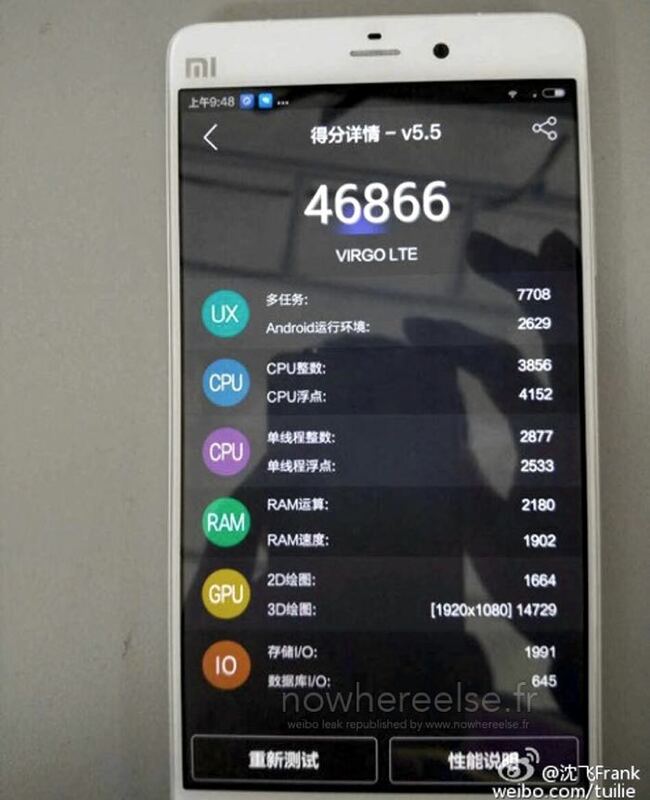 The handset is also listed with 2GB of RAM, we previously heard that the device would be shipping with 3GB of RAM. The company is holding a press event in a few days so we can expect to get confirmation on the specifications on the new Mi5 smartphone from Xiaomi in a few days.